I invented the Binary System and perfected it with a tracking system and regenerated or repeat retail sales accumulation. WE SPENT TWO YEARS PRIOR TO THE OPENING OF MA TESTING IT AND FINE TUNING IT. This had never been done before, and it was not a simple fixed pay out of a percentage of sales and then resetting volume to zero at a cutoff date every month. Accumulation and keeping volume in the system was complicated and unknown. It was based on both finite math and actuarial or probability math. Infinite search and accumulation was revolutionary and presented new challenges. Everyone had to be on different “clocks” so that one could get paid when they reached the criterion and have the volume reset, but not for others in the line that didn’t get paid yet or were at different accumulation levels the volume stayed in and continued to accumulate. The dynamics and math required everyone (UFOs) to carry their own weight and meet certain requirements to benefit from the system and for the math to work. These personal production requirements were key to the system and math working. The algorithms and production requirements were necessary for both regulatory reasons and, mathematically, for the plan to work. The costs were based on algebraic formulas setting the price competitively at retail level, allowing for a retail profit, and covering cost of goods, plus a profit to run the company soundly while maximizing BV and commissions. It took 5 years of testing, monitoring and adjusting to perfect this. These data functions and algorithms tied to requirements are one of our greatest trade secrets as it controls the commission pay out. Every person in the genealogy can earn based in the MPCP at the same time if they all carry their own weight, production wise, and meet the requirements. However, as miraculous and revolutionary as the plan is, the system must be followed. If the system is not followed (or “beaten”) and people earn passively, fake people are inserted, or un-retailed volume is manipulated and illegally placed right before commission runs (equivalent to “gamming”), then it can trigger invalid or fraudulent commissions and cause commissions to increase uncontrollably. That is why the qualifications and requirements have to be strictly enforced. “BINARY” VS. “BINOMIAL”? How is MA and the MPCP different from what is commonly called “Binary”? What followed our introduction of this plan or platform, or what people called: “binary marketing,” was an avalanche of “copy cats” and “counterfeiters” trying to do the same thing by simply copying the diagrams and surface functions of the plan. The biggest mistake we ever made was not getting it patented. Unfortunately, these “copies” were counterfeit and they had no knowledge of how the math worked, or the tracking, the algorithms and necessary production qualifications necessary for it to work and control the payout. The consequence was their payout grew beyond revenue and they imploded. Others didn’t understand the legalities and how the plan was designed to enforce regulatory law. At my last count (done a few years ago) there was over 300 companies that tried to copy it and failed. Fundamentally, the MLM mentality and irresponsible principles of these counterfeit programs or companies, which do not care about longevity, bastardized the plan. They tarnished its name and created a preconceived notion that all “binary” plans were the same and included many of their deficiencies. But what people and the public do not understand is that what they called binary is missing the wiring in order to work. I call our system “binomial” because there is a constant value of retailing and regenerated retail sales volume in the formula, that it was designed to compound, and is what makes it work. Without that, one needs exponentially more people recruited at the base line in order to continue generating income up line. So we perfected the plan over several years and added features to it to compliment what we were doing with the UnFranchise system, such as: Online Shopping and e-commerce, computerized or internet marketing, BV and IBV accumulation, one-to-one marketing and mass customization, PC system, customer tracking system, University Majors with “Mall without Walls,” retailing programs and systems, and recently the Shopping Annuity—converting spending into earning! During this evolution and journey the plan was proven solid and worked beautifully for anyone who worked it and followed the system. However, it was not the simplest business to understand. It required paying attention, and supervision or oversight of one’s organization to assure they didn’t miss checks (management responsibilities). Always remember that the MPCP is called that for a reason – one is not paid on volume alone, but on Management Performance where they get paid based on volume of an organization that they are actively managing (not just on volume without satisfying the management responsibilities). It is NOT an entitlement just because volume is generated or built. This is well documented in the IUAA and UnFranchise Manual. This is not MLM. One needs to manage the organization of UFOs, including providing assistance with administration and requirements. They must also focus on RETAILING and Form 1000, plus the 70% rule, training, motivation, enforcement of rules and resolving problems and disputes. If they do that successfully on an ongoing basis, they are entitled to be compensated for their management performance, which is then based on or calculated on the volume. Of course, one can offload this work load by duplicating successfully. However, if one does not do that, technically and legally they are not entitled to commissions or residual income. If they manage the organization and UFOs, or train someone else to do it and it is being handled properly, then they don’t have much to do, except monitor that it is being done. This would include being aware of what is going on in one’s organization, especially if they are benefiting from the sales and volume directly or indirectly. It also definitely includes addressing unsavory or unscrupulous activities that circumvent or violate the rules or manipulate the MPCP. Now, back to the main point of the sophistication or complexities of the MPCP with complications of meeting qualifications, monitoring organizations, and the simple retailing and ongoing requirements to substantiate retailing and activity. The activity requirements, retailing requirements, transfer buying and accrual option changed the playing field for tens of thousands of UFO leaders by stabilizing and increasing weekly and monthly income and practically predetermining weekly pay levels that everyone could count on. However, it was a battle getting there, but now everyone loves it and would not do the business without it. It took several years to perfect the plan and MPCP and it required extremely complicated programming, data exchange and tracking systems. The extension of that to two commission banks of BV and IBV, allowing a UFO to earn two checks or twice as much on the same organization and customer base, is also revolutionary unto itself. No one else has it or can do it! Now, let’s fast forward 10 to 15 years as the process of increasing the field’s earning potential never stopped! The addition of the Preferred Customer system, customer tracking, SHOP.COM, UnFranchise.com, Shop Tracker or Shop Points, as well as integrating regions and countries with the global unification and IRCs or UGCs exponentially increased the complexity of programming, but optimized and maximized the earning potential for every UFO internationally. It is a miraculous integration of technology, with many engines and systems working together, to make the business work and increase residual income. However, one of my passions, and a mission of the company, has always been to make this accessible and doable for the average person. Making it simpler, automated, faster and easier has always been a primary objective. Over the next 10 years we worked hard to make it easy with alerts, notifications, automation, automatic processes, simplified processes, auto fills, plus easily accessible and easy-to-read reports. However, it is a real business and one has to keep up to date and use the tools and system. It requires paying attention and being up-to-date and it pays well to do so. Let’s digress for a minute and look at the things we put in place to make it easier or automated. You can refer to the diagram and the short PowerPoint presentation to study them and explain them. It is important to appreciate how much has been done to make it simpler, easier and greatly automated. Look at the way it was 20 to 25 years ago when we first started compared to how it is now! This diagram shows all of the tolls, systems, technologies we have today to grow the UnFranchise business which we did not have the first 10 or a5 years. We developed them from nothing and grew the business. Today it is so much easier and there is no excuse for not building. Over the years the company, corporate team, and Pioneering UFO’s worked to make it work and create the things we needed to grow faster and duplicate. When I think of where we are today versus back then it is hard to believe we made it. However when I look at where we are today and what we need to do to make the Shopping Annuity as advanced as the UnFranchise and equivalent to a Uber in convenience and functionality or how well it works compared to what had to be done to the UnFranchise developments and improvements it is a snap and less than a year away compared to what toll 20 some years. In the Beginning we had nothing but belief and did not even know what was needed until it became apparent from doing it so we created it. We really had nothing more than Belief and sold Belief and as a result, slowly but surely things were created or developed to continue growing and get to the next phase or level. 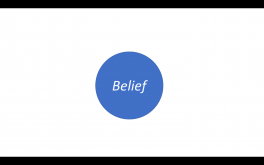 Again we created the make-shift antiquated solutions and tools first just to have a way to build and make it happen , but they do not even compare to what we have today and they were awkward, expensive, time consuming, but worked (not very well) if we used them.. We had one product – BELIEF! Over the years, we made it easier and automated. The second click shows the change to an easier system. But we continued to improve, simplify, and make it cutting edge ever since then, over the past several years right up until the present and are still doing it. The next slide shows many of the new technologies, systems, tools and platforms put in place to make the business better, easier, faster and more duplicable. So after 25 years, here we are with the most powerful and realistic plan through the MPCP, coupled with the UnFranchise Business System, revolutionary products (market-driven, science-based, uniquely different and better, competitively priced) and a top-ranked online shopping site amplified by the Shopping Annuity. At the very center of this is the driving force of being able to develop a residual income from using the MPCP. 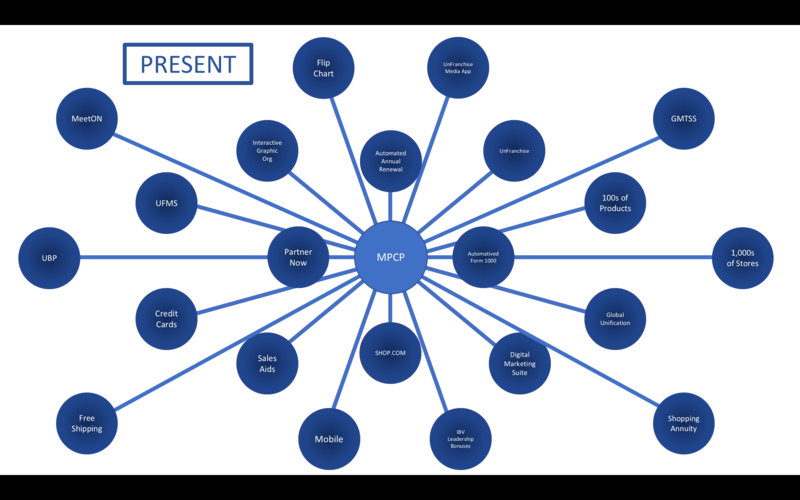 The MPCP, along with our tracking system, connects all of this to the entrepreneurial marketing opportunity, generating retail profit or earnings and residual income. In the beginning, we said it was a “proven system” based on experience and solutions. I am not sure how proven it was back then until enough people made it work and succeeded with six-figure incomes. However, now it really is proven, with over 25 years giving countless average people supplemental incomes, income diversification, and tens of thousands of people have consistent residual income. Plus many substantial, secure six-figure residual incomes resulting in dreams coming true, time freedom and financial independence. NOW PLEASE PAUSE! 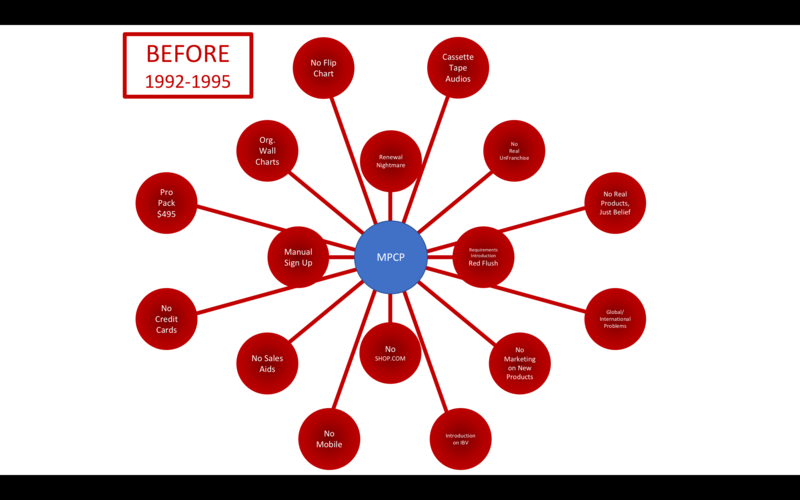 Think about all of the tenants of the MPCP that everyone loves, which differentiate the UnFranchise Business and MA from so many other businesses. How important are they to YOU? How do we preserve them after 25 years for longevity and residual income? Please answer that with each item below! Retail driven with competitively priced, unique or revolutionary, science-based products allowing for significant retail profits. You can’t stop the business because people beat the door down for the product. 50% of all UFOs were customers first. We know this because we document it through customer metrics and data and Form 1000. The vertical binomial plan to build just 2 legs per BDC to be solid and have a 6-figure residual income, rather than numerous legs (6 to 20 personally sponsored) at once in width who are all in competition. A BDC requires only 2 organizations, or tracking threads, of customers to customers to UFOs to senior UFO. This tracking system is organic and has no matrix structure required to fill out. 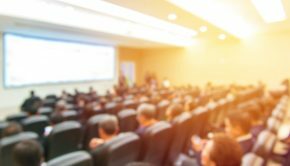 It just spreads naturally, organically or virally, like the “classic movie example,” until it accumulates or finds enough volume to get paid in the MPCP. Once it reaches the accumulative threshold volume level to get paid, volume is usually very stable and repeats weekly because of regenerated or repeat orders from customers. On these two tacking threads or channels, one makes more than if they had 6 to 20 “legs” in networking or MLM. Infinite search and tracking of sales daily and weekly, finding volume wherever it is and accruing to everyone for 100% credit without dilution. (Dilution means that each successive level dilutes or pays less until there is nothing left to pay.) This is an interesting one, as it is organic and follows the way things naturally happen in life (movie example) and there is no need to fill out fixed levels with a predetermined number of “slots,” because it accumulates volume vertically, regardless if anyone activates. There is no “matrix effect” of filling out in positions of a symmetrical horizontal structure of successive levels, increasing exponentially vertically like (2, 4, 8, 16, 32, 64, 128) or (3, 9, 27, 54, 108, 216) etc. where growth and volume goes off the “pay line level,” like explained earlier in MLM. All that is needed are real sales and building action and volume in a beginning location, somewhere down in the genealogy, based on retailing and duplication anywhere, regardless of levels or geography. Eventually, someone will lead to growth and volume somewhere, and that is all you need to earn. No one needs to fill out horizontally, although every UFO in the line of fire benefits (that’s why we say “light the fire in the basement”) and has a greater incentive to identify and start a second leg. However, they do not lose out and frequently are halfway to getting paid weekly (half paid or rich), which makes success very realistic and reachable. Accumulation and accrual of volume over a year so that it is not a matter of if one will get paid, but rather when they will get paid (within realistic annual time limits). Elimination of monthly reset where all volume is flushed or purges at the end of every month, starting over at zero at the expense of those who fell short and to the benefit of the up line. Weekly pay (4.2 times a month). This enables leaders with larger organizations and customer bases to get paid 4.2 times on the volume rather than it being “overflow,” on which they would not get paid. Earn 2 checks on the same organization: Volume accrues in 2 banks (BV + IBV) on the same organization simultaneously, allowing one to earn two checks on the same people and organization, rather than recruiting and building new ones. Requirements to maintain activity and increase volume and repeat volume, while ensuring regulatory requirements are satisfied. All UFOs grow to love this, because it results in solid regenerated or repeat volume and income. They already know the minimum they will have coming in before the week or month starts. Therefore, as one builds, there is a compounding effect from repeat sales (Form 1000, accrual option of 50/month, which equals the activity requirement of 150/quarter) in order to keep accruing volume. Everyone must carry their own weight in order to benefit, and it does not allow passive earning. It facilitates residual income. Monthly Accrual option and Transfer Buying and the reliable volume it generates monthly, securing commissions because you know what you can count on before the month or week starts. It is retail driven (Form 1000 and all the methods or systems generating retail customers), resulting in repeat, regenerated volume monthly. Timing program that benefits everyone. Different people can earn or cycle before their upstream partner, or the reverse, without anyone losing as the volume waits on them. This is just taken for granted, but it is monumental and is extremely complex tracking and programing because everyone is on different time clocks, and the volume needs to be accrued and adjusted for each UFO in the line individually and separately, weekly. This maximizes everyone’s chance for success because no one is punished because of timing, and timing is everything. Reentry: multiplying income vertically, rather than horizontally spreading oneself thin, and securing legs and income for yourself and team while simultaneously building profitability and security. Although a BDC is “capped” at $3,600 per week in order to assure others will make money, which secures your income, one can multiply their income by opening new BDCs vertically in one of their two legs. Income leverage built in from the beginning with three centers. This allows one who builds a solid business with BDC 001, which captures the volume in two digitally placed invisible centers, to build the 001 to its full potential because these two centers capture the volume as it passes through those center “banks” and is stored. This allows them to build the second and third center to double or triple their income with only having to build one more leg for each. That’s twice the money for half the work. The three centers allow a UFO who does three times the income for twice the work or volume. The mathematics of the plan allow for this, as long as all requirements are met. Strategic volume placement of unencumbered retailed volume (BV or IBV) downline in the organization to benefit everyone on the team in the genealogy line with 100% credit by placing it in another Personally Sponsored UFO on Transfer Buying center. This rewards a leg for team work and progress, and everyone in the line gets 100% BV or IBV credit, advancing everyone toward earning. The only hitch or requirement is that one must have documentation that it was retailed or consumed in the SA. Tracking system and fulfillment for customers. 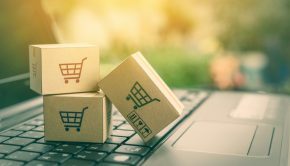 Very few systems deal directly with the customer for the distributor (credit card or payment processing, crediting retail profit, fulfillment and shipping, metrics-profile/buying history, personalized campaigns, etc.). This eliminates redistribution of product if one wants it, like in direct sales or MLM. Customer and UFO referral footprint tracking: This is colossal and virtually non-existent elsewhere. It is also the least understood or appreciated feature, which is the key to the future with Shopping Annuity, as well as UFO sales volume security and ownership. It tracks the referral thread of customers leading to customers and ties it to UFOs, and then UFO to UFO up the MPCP. Because of this, fundamentally a UFO owns the customer base, and regardless of where a customer goes or what they do globally the customer is recognized and the UFO credited, as are the customers they lead to. That’s remarkable in itself! This allows for leverage of collective buying power and residual income in the MPCP and Shopping Annuity. To a large extent, this differentiates MA from MLM because instead of buying and redistributing product tier to tier, or crediting inventory purchases even if bought directly from the company from the top down, it is tracking sales from retail customers or consumption by UFOs as their own customer from the bottom up and accumulates it, giving everyone in the path 100% credit for the volume without dilution on successive levels. This of course is on top of retail profits with competitive pricing, so our products are economical and a real value at retail. Direct sales, Network marketing, MLM, or even Affiliate marketing do NOT have this framework or system; therefore, I pontificate that we are not MLM at all. This means that residual income is built on solid repeat and regenerated sales from the bottom up. Global Unification with IRCs and UGCs allows one to build globally without overflow volume (which is what happens when all volume is simple combined into the MPCP with one bank, decreasing their potential earnings.) This system allows one to complete weaker legs at home when building in a new region in global markets, all while expanding income in the region with the ability to earn twice on that volume—in two regions or countries and possibly a third. 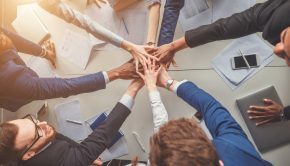 All the while others in a large organization are working as a team and also cross pollinating in other countries and regions. What do you think about these things that make up what we are about? They did not exist for the most part before. For them to work and the MPCP and company to be solid financially, the requirements and systems must be followed. PERIOD. Failure to do so must be corrected by the company or it threatens the plan and residual income for EVERYONE! Genius? Revolutionary? Paradigm shifting? Unheard of? Misunderstood? More profitable and realistic? Internet and digital marketing at its best? Crazy? Next-level matrix? Unbelievable? Mind boggling? Call it what you like – It is what we have and it is why we are different, unparalleled and unequaled, as well as not understood, and therefore mischaracterized. What makes these advantages possible? Can you imagine the business or life without them? What if we even reverted back to the way it was 15 to 20 years ago when it was MUCH harder to manage and build or duplicate (but for some unknown reason we grew the fastest)? Would you like that, or recommend it? PAUSE! THINK! ANSWER! All of those requirements and processes were there to allow the plan to actually work mathematically, legally, and to insure there was regenerated volume, which is the “gas or fuel” in the tank that fuels the MPCP. It all works to support or ensure maximum profitability, builds stability in residual income and ensures stability and longevity as well as regulatory compliance. All the things we did over 20 years made it more transparent, easier, and more duplicable for UFOs. It is easier to build now than it was then, if one uses and leverages the system. Why we are then even questioned about requirements, qualifications, and activity criterion to accumulate and get paid? The answer is simple—without them you could not have all those features above that most everyone loves and that make our business model more profitable and stable and secure. But what if people only use it to beat the system because we made it easier????? What if people do not follow the UnFranchise System and Policies & Procedures? 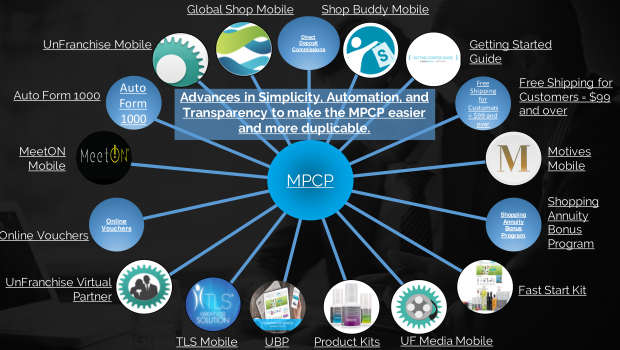 It is the MPCP and our building blocks of policies and procedures that make the base of Market America so strong. But what makes the company successful are UFOs who follow the system. Our success is built on YOUR SUCCESS. We need UFOs to grow stably, and to teach the system the RIGHT WAY so as the company grows we grow even stronger than we were when we started. I love it when UFOs go back to basics, but that doesn’t mean we need to take away all the tools we’ve added that make this business easier to operate. Focus on the basics of building the business the right way, following the system and following our policies and procedures. Absolutely everything you need to excel is already built into the MPCP! Take a hard look at its benefits and you’ll realize there is no better way. Those who think they can cheat the system are chipping away at the very bedrock of Market America and sabotaging their own success at the same time. We need you to shut out the negativity and shut down the cheaters so we can work to strengthen the Market America family from the ground all the way up to the top. Fantastic Binomial Story, Now I Have a Much Better Idea Why We Are DIFERENT. Fantastic Binomial Story, Now I know Why We Are Different, and Why It Works So Well, Thanks J R and The Team That Have Design Such An Awesome System, Congratulations.